When God’s angels appear to believing men and women, they nearly always say “fear not.” God is a comfort to those who believe. He is our refuge and our courage in times of distress. The same cannot be said when God speaks to unbelievers. Unbelievers, or as I like to call them, “not yet believers,” have much to fear because they haven’t aligned themselves with the one true God of the Bible, the Father of our Lord Jesus Christ. 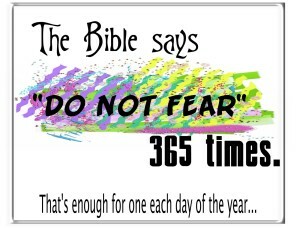 I’d like to repeat the phrase to Christians around the globe today: Fear not! For God is with you. ISIL (ISIS) continues their genocide of Christians and others who refuse to convert to Islam. Christians in Iraq are in fear for their lives, and understandably so. 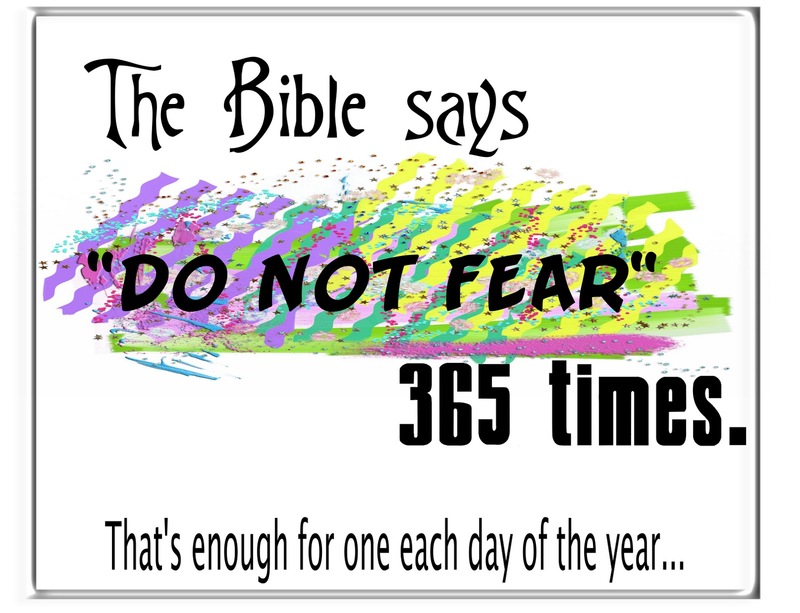 It’s easy for me to sit here in the United States of America and tell these faithful Christians to fear not, and it may not be too comforting coming from me, so let’s listen to Jesus himself. Those who kill by the sword will die by the sword. God has marked those who are his and those who are not. Romans 12:9 Dearly beloved, avenge not yourselves, but rather give place unto wrath: for it is written, Vengeance is mine; I will repay, says the Lord. The Lord is fully aware of what is happening and he wants you to know he has the end-game in control. He gave us the conclusion of the matter in hundreds of scriptures from the beginning of time through the book of Revelation — WE WIN! That’s right, we win no matter what things look like now. Those who love the blood of the saints more than God himself have a skewed view of spiritual matters and they will answer for their deeds. Revelation 13:10 He that leads into captivity shall go into captivity: he that kills with the sword must be killed with the sword. Here is the patience and the faith of the saints. Hebrews 10:31 It is a terrible thing to fall into the hands of the living God. He who created the heavens and the earth with only his Word has spoken to you who would kill his children. Take it to heart and turn from your ways and live, says the Lord, for he has no pleasure in the death of the wicked, but rather that the wicked turn from his way and live. Ezekiel 33:11 Say unto them, As I live, said the Lord GOD, I do not desire the death of the wicked but that the wicked turn from his way and that he live; turn ye, turn ye from your evil ways; for why will ye die, O house of Israel? These people have a skewed view of spirituality. They see black as white and white as black. The words they speak are opposite of what the Word of God says. John 16:2 They will put you out of the synagogue; in fact, a time is coming when anyone who kills you will think he is offering a service to God. That verse indicates these are religious people, fighting for falsehood. While they appear to be winning now, they are in for a big surprise when ‘the big guy’ returns. Jesus will avenge those who are his when he comes with the wrath of God against those who deny the truth and have pleasure in unrighteousness. In God’s infinite wisdom, he knows the end from the beginning. Bible prophecy is not prediction, it is what God has already seen. God who fathered our Lord Jesus Christ is outside of time. He lives in the past, the present and the future from our point of view. Mortal man has only a glimpse of the omniscience and omnipotence of our loving God and he will avenge those who seek harm to his children. Fear not little children, for God is with you and within you. Embrace these magnificent truths and boldly stand for God and our Lord Jesus Christ in the present and upcoming tribulations. For his is the kingdom, the glory and the power and it’s his good pleasure to give it to you who are his.